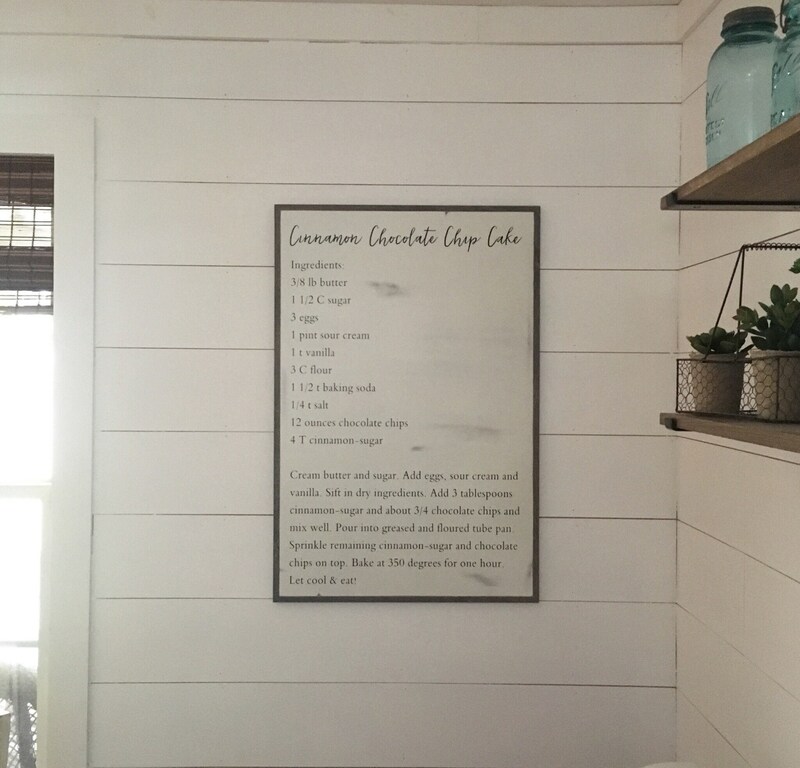 What a great way to showcase your favorite recipe in your home! 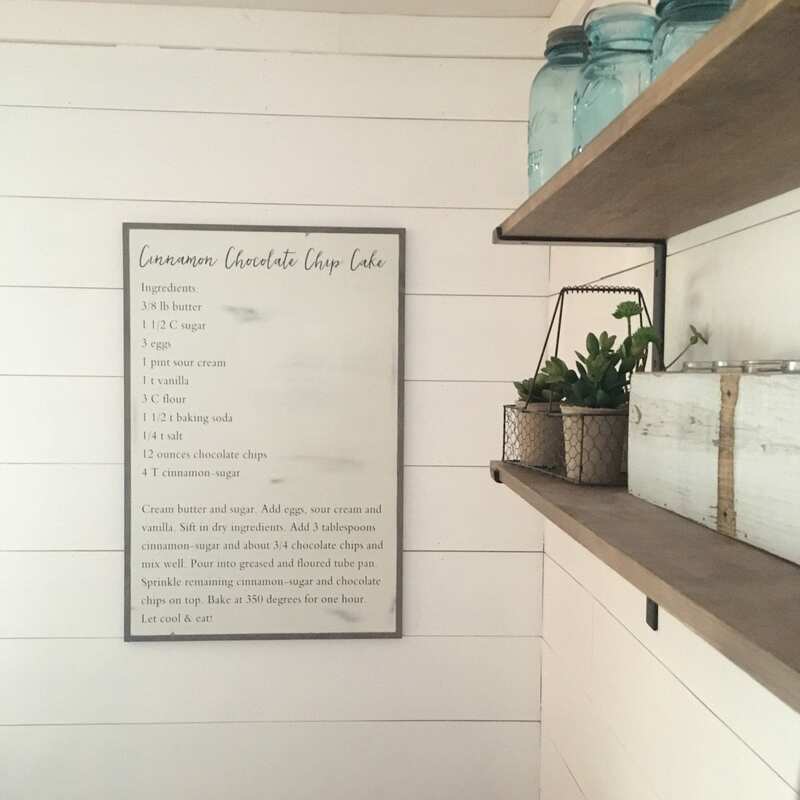 Makes great wall art for your kitchen or dining room...plus, it's the PERFECT gift to give someone for a housewarming, wedding, or birthday. What a unique way to pass down that special family recipe! 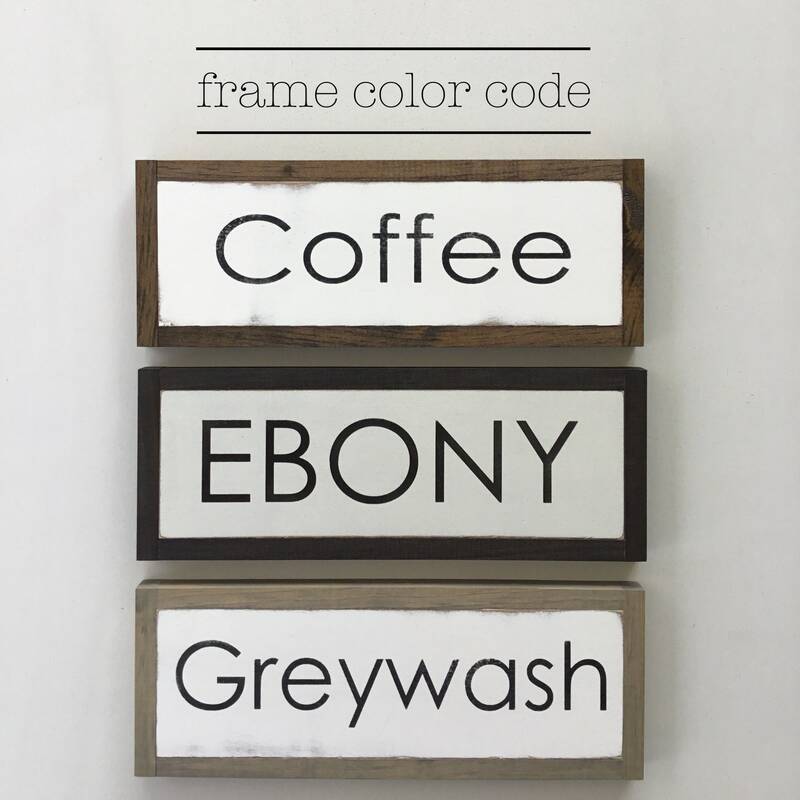 We look forward to helping customize a sign just for you with your own personal recipe! Make sure to leave us the recipe in the "note to seller" at checkout or through a "conversation" (in case you missed it at checkout). We will send a mock up to you of how your sign will be painted and wait for your approval before we start on the actual piece. Melody and Jamie made our Christmas so special! 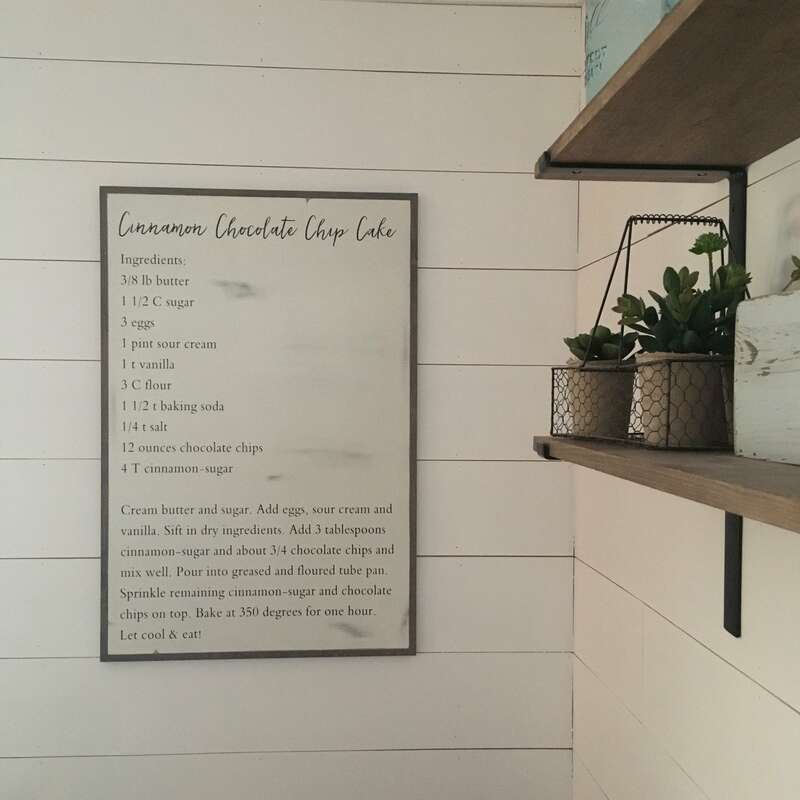 The custom recipe sign they made was such a special present and is my new favorite part of our home. They went above and beyond to ensure we got the sign in time for the holidays. They put 100% such love and dedication into their work and into the care of their customers. THANK YOU! 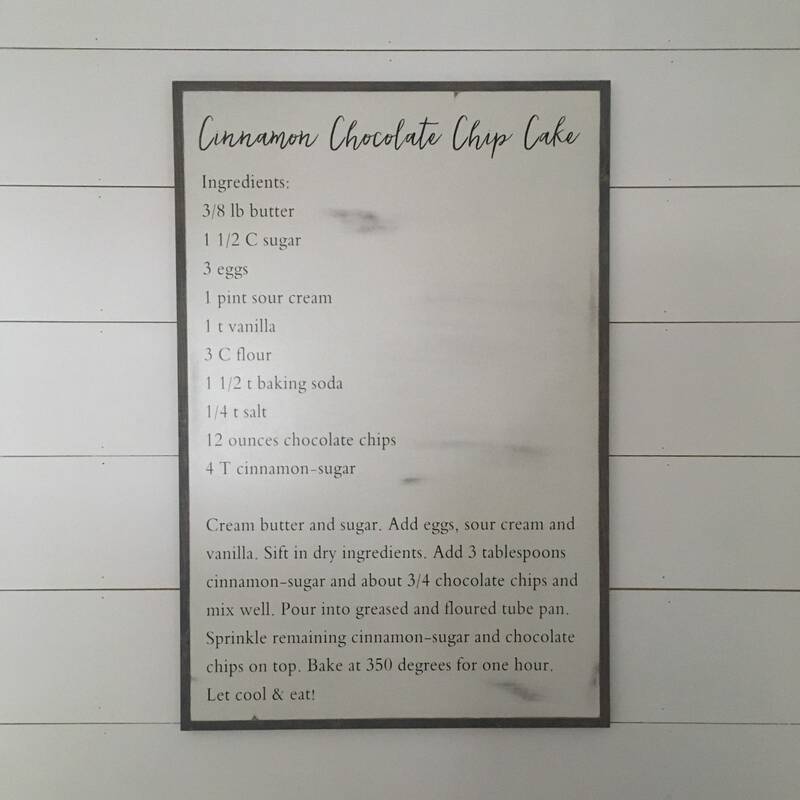 My mom absolutely loved her grandma’s recipe on a sign for her kitchen. It was made so beautifully. She cried. Thank you so much!! This was the missing piece to my kitchen/dining decor! A family recipe with sentimental value and it’s so beautifully made! Thank you!! I bought this sign for a Christmas gift and it arrived well before Christmas. It was my favorite gift to give this year. It is beautiful and I couldn't of been happier with the finished product! The receiver loved it as well. Thank you so much!